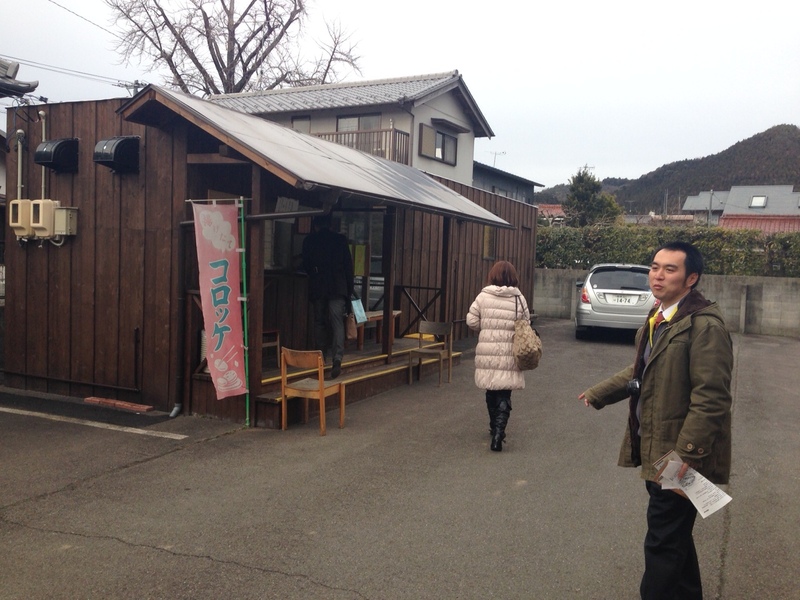 In order to add a new dimension to the personality and charm of Mitake-cho, a small town that was long ago a part of the old Nakasendo Highway that stretched across Japan, the locals have taken it upon themselves to try and create a new local delicacy in the form of a sushi that will hopefully become symbolic of the area as a whole. 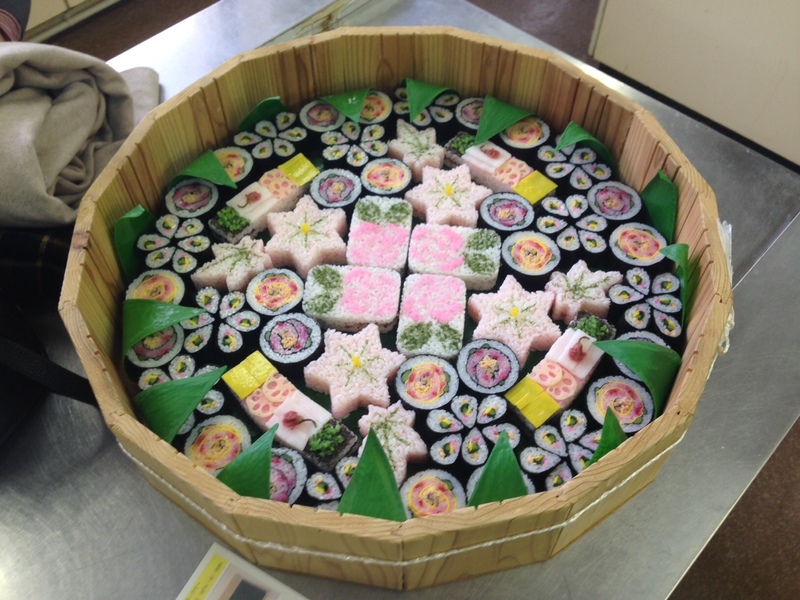 This sushi, known as hana-zushi (literally “flower sushi”) is a delicious, beautiful dish that comes in 14 different varieties, and each one is– you guessed it– based on a different flower. Ms. Hotta introducing the different kinds of hana-zushi and the origins of their designs. 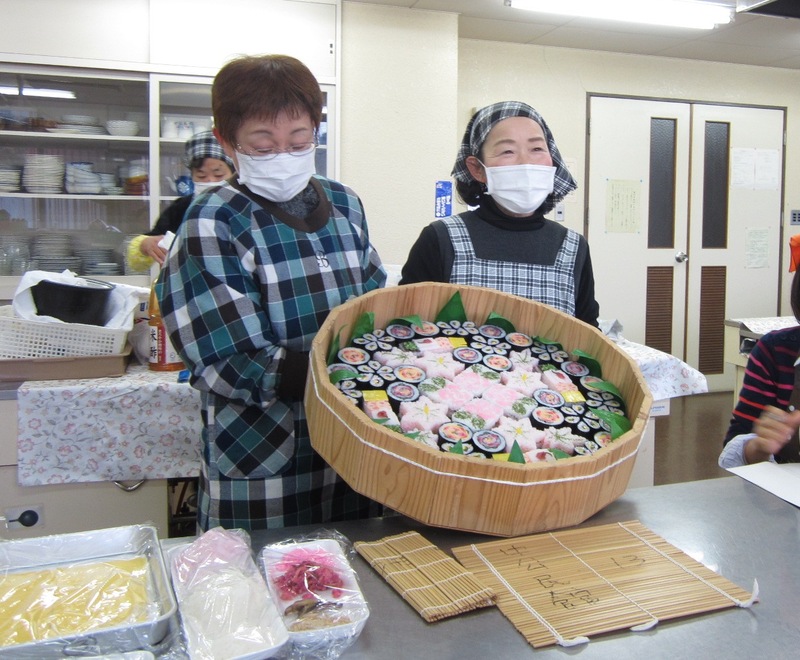 The other participants and I tried our hands at making two kinds of hana-zushi, the rose and peony varieties specifically. The rose is a local flower that grows in great abundance in the Mitake area, while the peony is a local symbol, and is also the emblem of the nearby Ganko-ji Temple (they were unfortunately not in season while I was there, so I was unable to see them). 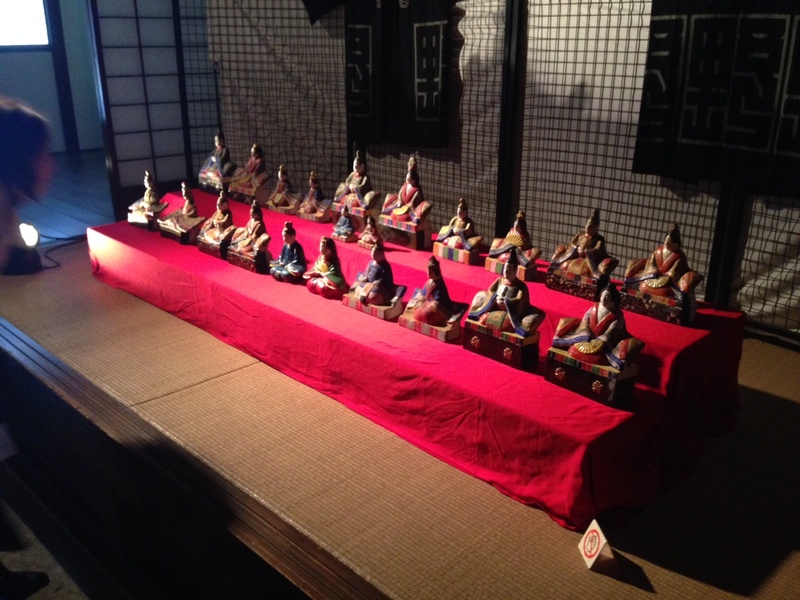 “Each one represents something different,” explains Ms. Hotta, “our culture, history, and even the nature surrounding us.” One, for example, tells the story of Princess Kazunomiya, who had passed through Mitake on the Nakasendo while making her way to the then-capital of Edo in order to become the bride of Iemochi Tokugawa. Having been forced into a loveless political marriage, the hana-zushi represents the tears she shed in grief during her long journey. 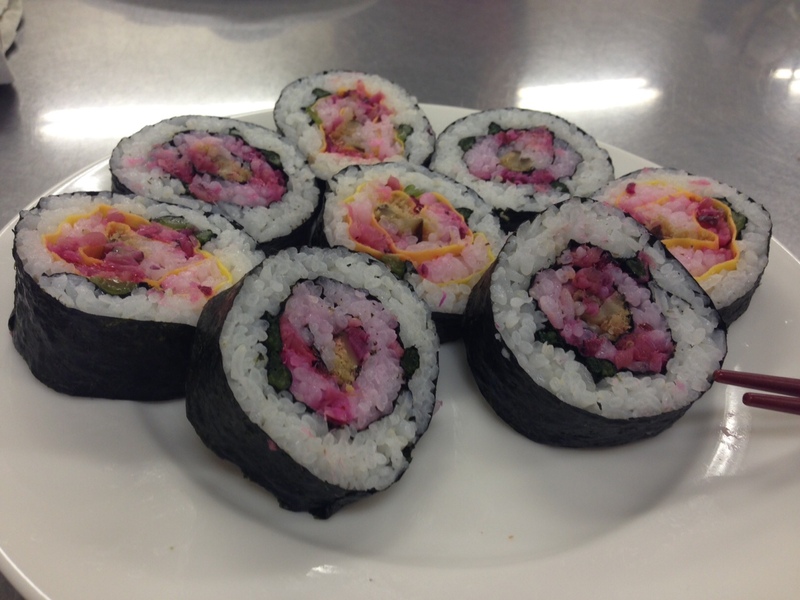 A replica of what a finished batch of hana-zushi looks like. The process of making the sushi itself is very simple– Ms. Hotta laid out all the required ingredients and tools beforehand, and made a roll in front of us before letting us have at it. What gives the sushi its distinctive look is how the individual ingredients are placed relative to the white rice. It’s perfectly fine, however, to make little mistakes here and there, as each flower being unique is part of what makes them beautiful! It won’t look like the sample Ms. Hotta showed us earlier, but it will be something delicious and entirely your own! This is how mine turned out! I would say it tasted even better than it looked, and well– that looks pretty good, doesn’t it? Making hana-zushi was both fun and delicious, and people looking to make it for themselves are able to do so at the “Mitakejyuku Waiwaikan,” provided you have a reservation (Maximum 15 people; instruction is currently available exclusively in Japanese [0574-42-8580]). 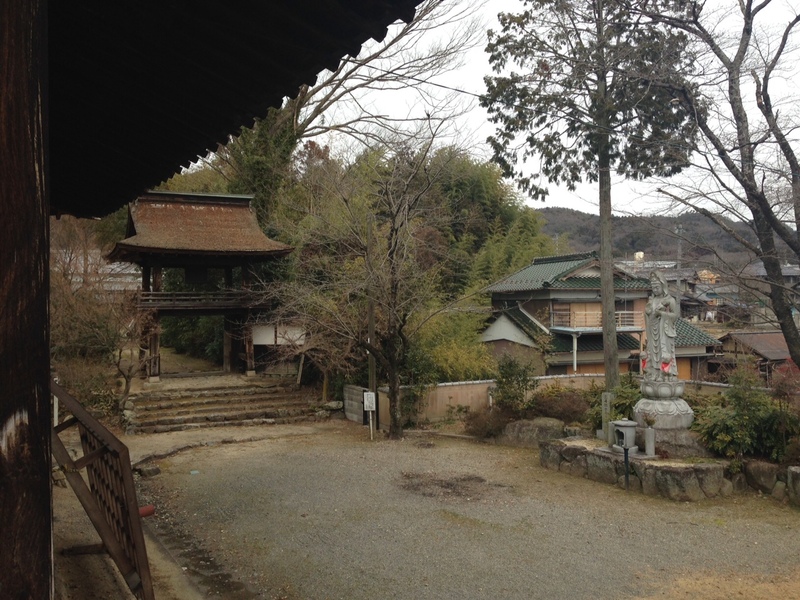 After finishing our sushi experience, a couple of us went to see a bit more of the Mitake area and the old buildings of Mitake-juku. Our first stop was the old temple of Ganko-ji, which as we mentioned earlier, has the peony as its emblem, so you can see it adorned on the gates, around the temple itself, and in other places as well. 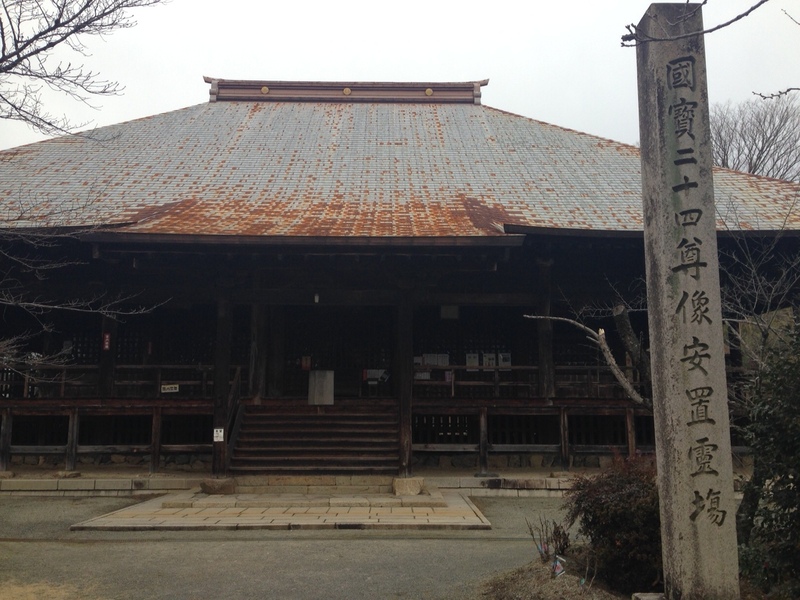 All it takes is one look at the old wooden exterior to realize that this ancient temple is clearly on in the years, but both the temple itself as well as the garden surrounding it, not to mention the statue of the goddess Kannon on the temple’s grounds are still quite stunning. 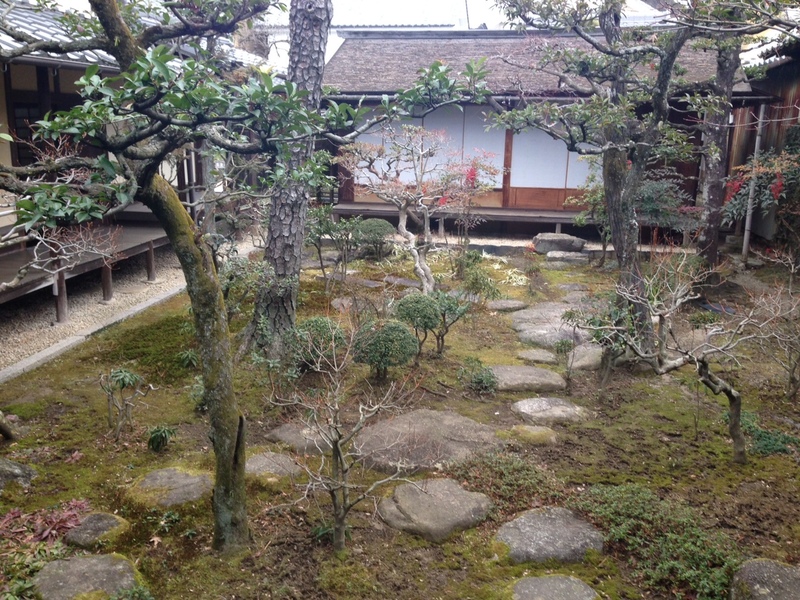 The next stop was Shoutakeya, the former home of a wealthy Edo period merchant, which was built in 1877. Entry into the home is free, and there are a variety of interesting things to see, from a collection of Edo period artifacts (like a massive wooden sewing machine and very old photographs) to the breathtaking inner garden, the building is maintained solely to preserve the culture of the Nakasendo and of Mitake-cho. We ended the trip with a visit to a local stall that sells drop-dead delicious croquettes. I don’t know if it was the grease or the powerful smell, but there was absolutely no doubt in my mind that eating too many of them would have sent me to an early grave. If you’re in the area, they are not to be missed! Mitaku-juku and the rest of Mitake-cho are easily just a short walk from Mitake Station on the Hiromi Line of the Nagoya Railroad. ← Gifu Prefecture Tourism and Event Newsletter: Spring 2014 Has Sprung!